January Rudolph Day!!! Just a Bit of Snow!!! It's January 25th and that means it's Rudolph Day!! 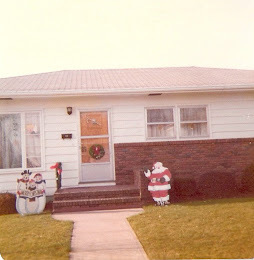 I thought I would share a few photos of how my outside Christmas decorations, converted over to Winter decorations look with all the snow. since we had no snow over Christmas!!! I have to give Kudos to Summit Landscaping who is responsible for plowing the courts in front of our townhouses for clearing the snow within a few hours after it stopped snowing!! And to the Road Department of Wilkes Barre Twp. for plowing several times and for clearing our road almost down to the pavement within an hour after the snow stopped falling!! This is why my sons were never able to sleigh ride on this hill when they were growing up!!! 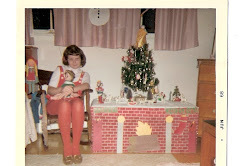 I hope to see you again next month, here on my Christmas Blog, for Rudolph Day on the 25th!! Want To See What I Bought After Christmas??? 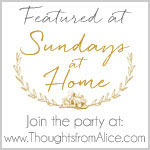 First I want to Thank Alice, over at Thoughts from Alice, who co-hosts the Sundays at Home Party, for featuring my post, Christmas at Nelson Crest, the Outside, Christmas Home Tour 2015! Thanks so much , Alice!! 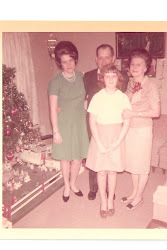 Christmas in the Kitchen, Christmas Home Tour 2015, from last week's No Place Like Home Party!! 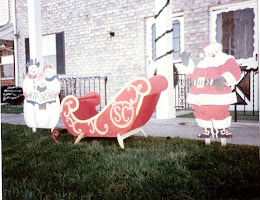 Christmas at Nelson Crest, The Upstairs, from last week's Home and Garden Party!! Please take some time to stop by and link up to these great parties!! I honestly behaved myself and stuck to my "trying not to spend on what I do not need or absolutely love" plan!! The day after Christmas was a Saturday and since I worked Christmas Day night and had to work the rest of that weekend, I opted to go home to sleep instead of to the stores!! Apparently, there were record breaking shoppers cashing in on the after Christmas sales because there was truly nothing left a few days later! 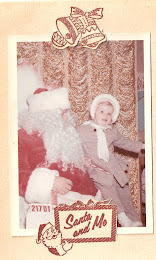 I did most of my sale shopping at Big Lot's this year with some right before Christmas and some after Christmas. I bought a bunch of ornaments for 50% off and I had a coupon for $10 off $50 spent. Even though these say "Star", I think they look like snowflakes and they will also be used for Winter decorations! A pack of 4 Chalkboard ornaments, also from Big Lots. And I bought a 7 foot Pencil Thin Tree!! Here is a photo from Big Lots web site of it. It was the last one there, it was 1/2 off so with the coupon it was priced at $30 from the original price of $75! This will not be an additional tree. I am giving the large Living Tree, which is about 15 years old, to Jim (my son) and Danielle. 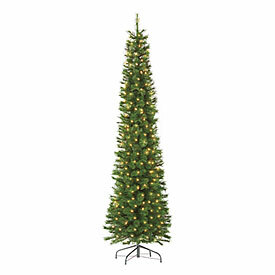 I will then use the 7 foot slim Tree that I currently use in the Dining Room in the Living Room and use the new pencil Tree in the Dining Room giving us more room to move around in there. Joe picked up some things at Wegman's that I had my eye on. 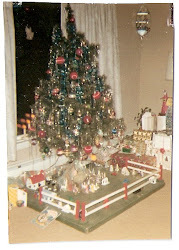 Yes, we bought a Wegman's Store for our village under our Tree!! Joe is there so often and he hopes to get a part time job there a few mornings a week when he retires so I thought it would be fitting!! It was originally $35.00 and was marked down to $12.00. The lights were 75% off. I had my eye on these since the beginning of the Season so when they marked them down, I told Joe to grab them!! I love the fur on them, don't you? Originally $24.95, marked down to $4.31 each!!!! And before Christmas, I bought 2 rolls of this ribbon on sale for 70% off at Michaels. I made all new bows for the wreaths that hang on the front of our house. 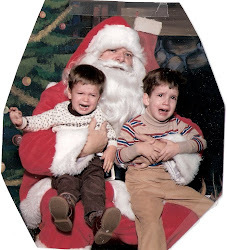 I will also be replacing the ornaments on them. I will do this before I pack them away so they will have a different look next year!! Love this sweet Snowy Owl Tree Topper!! 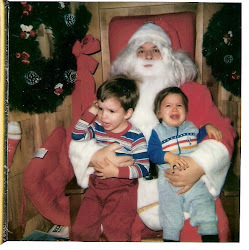 And this post ends my regular Holiday posting for this season here on my Christmas Blog. 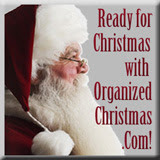 I am already planning for next Christmas!! 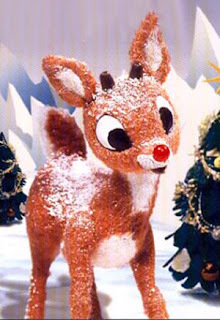 I hope to post here at least once a month on the 25th of each month , which is Rudolph Day. I have now started to take down and switch over my Christmas Decorations. The Outside is being switched over to Winter Decorations, several Trees will become Winter and Valentine's Trees and the Powder Room will be stripped of any Christmas Snow Buddies and then will stay decorated until the end of Feb. 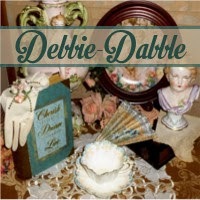 I will be posting these changes over on Debbie-Dabble and will be posting on that blog regularly now. I would love to have you follow me over there! It has been a crazy and hectic Holiday Season but a great one!! I am frequently asked where do I store all of my decorations. 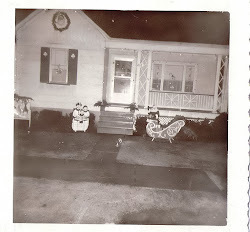 HERE is a link to a post I did last year, sharing just that. There is also a link to it on my Side Bar. I hope you had a wonderful Christmas and a Happy New Year!! 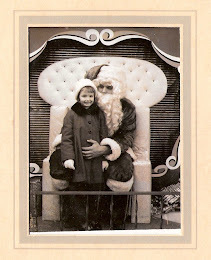 I hope you will come by and visit again when I post here for Rudolph Day. My One Little Word for 2016!